Create a canvas with your featured post layout containing the placeholders you want shown for the post: Featured Image, Post Title, Post Top Category, etc. 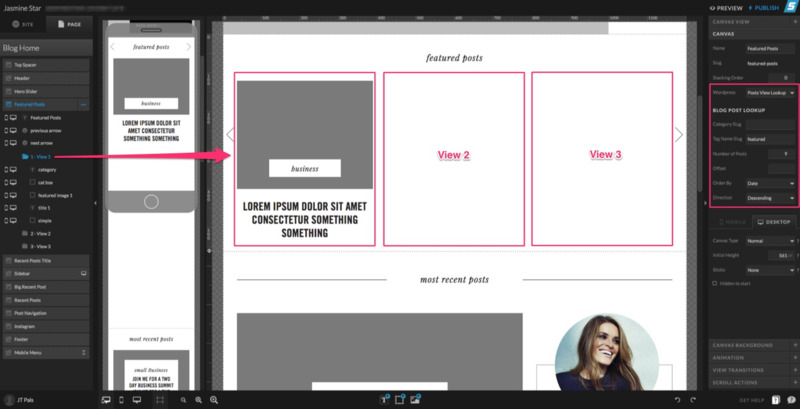 Add a canvas view and move the placeholder layers into the view folder. 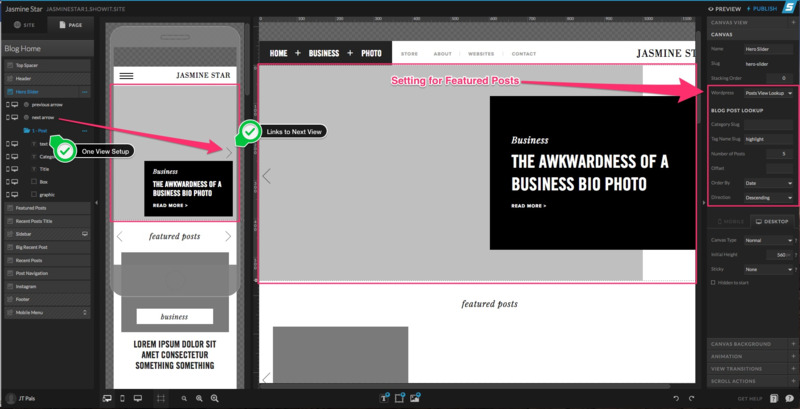 If you are creating a side-by-side layout, divide each post into it's own canvas view. Define the Tag Name Slug: (typically "featured") and the Number of Posts to show.